Product prices and availability are accurate as of 2019-04-21 15:09:17 UTC and are subject to change. Any price and availability information displayed on http://www.amazon.com/ at the time of purchase will apply to the purchase of this product. Goes on wet and sets up with a dry 'wax-like' synthetic film that helps keep your chain clean by not absorbing excessive amounts grit, grime, or dust. 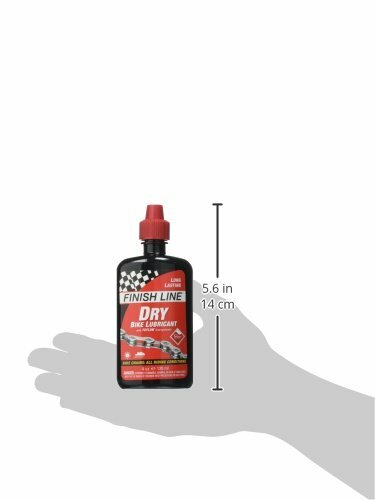 Our most popular, most versatile bicycle chain lubricant. An extremely versatile lubricant and a perfect choice for many road and off-road cyclist. Synthetic Oils with Teflon for super slick, long lasting performance. Our best choice for maximum performance in typical cycling conditions.